Dr Vijaya Manohar is a senior consultant with rich experience of 30 years. I and my baby are lucky enough to get the best care from the best birthing place. Dr. Vijaya Manohar had given the best treatment for us. We both are very healthy and will always be thankful to her. The nurses were too caring. I liked the taste of the food served there. Great work! Apollo Cradle is the best place for the ones looking for hygiene and perfect maternity care. I delivered my baby under the care of Dr. Vijaya Manohar. She was too humble and dedicated towards her patients. I really feel so blessed to be her patient. Dr. Vijaya Manohar is the best person. Her dedication towards caring her patients is really amazing. My delivery was really very fine and I did not have any complications. I will always be grateful to the Apollo Cradle team. I am very pleased with the services of Apollo Cradle. Dr Vijaya Manohar was an angel in disguise and I was very lucky to be under her responsible care. Apollo Cradle served the best housekeeping services. The room that I stayed in was very clean and the surrounding was very comfortable and adjusting. Overall, I had a wonderful experience. We appreciate the support of Dr Vijayamanohar— it made a huge difference in making my experience so comfortable. All my fear went away in seconds when I saw myself surrounded with so many supportive member of the team. The staff helped me stay calmer and feel good about each decision that was made. Thank you for everything. We were all happy and healthy. It was the wonderful experience with Apollo Cradle. Dr Vijaya Manohar took all the necessary steps and was really helpful. The staff, including the nurses were very supportive and took care of the whole time. I am thankful to Apollo Cradle for giving me such a pleasure. Highly recommend. Dr Vijaya Manohar was an angel, who took great care of me. Apollo Cradle was a place which felt equal to home and the process is also very thorough. The delivery of my baby was very smooth and it was conducted very well by the staff. The staff made my stay very comfortable and they were all very responsive to any questions I had. My experience with Dr Vijaymanohar at the Apollo cradle, Koramangala was very good. We got admitted in the deluxe single room for the delivery. The behaviour of PRO was really good in handling queries. The waiting time was less and doctors and nurses made the experience great by proper attending during recuperative phase also. Food and beverages available at premise were hygienic and delivered on time. Washrooms were clean and equipped with toiletries and housekeeping was readily available. I am very happy with the facilities provided at the Apollo cradle, Koramangala. My friends recommended it to me for delivery. Dr Vijaya and the team attended us with great care. I was admitted to a Single deluxe room which had all amenities like AC & TV and stay was comfortable. The foods/beverages were good and of high quality. I was very impressed with my experience with the staff, their empathetic behaviour and communication skills. Since a family member referred me, I had heard about the great services offered at the Koramangala clinic. So, I got in touch with Dr Vijaya Manohar of the gynaecology department for delivery. The doctor was well-experienced and handled our queries efficiently. The food was delivered timely and quality was also maintained. The rooms were hygienic and housekeeping maintained amenities well. I will surely recommend Apollo to my friends. I was referred to the Koramangala clinic by a relative and as expected had a good experience. With the help of the PRO, we selected a package and the front office helped us get admitted on time. Dr Vijaya manohar understood all our needs during and after the treatment and explained things clearly. The nurses were responsive and food available was healthy and delivered timely. I will surely recommend Apollo to my friends and relatives. The duty doctors were always quick when it came to responding to me, so I was happy with the dedication and efficiency. The procedures were always well explained to the patient, which is a good practise because it\’s important for patients to know the exact details of what they will undergo. A big thank you to all the staff members of Apollo Cradle. When we knew my wife was pregnant we were so much elated and happiness knew no bounds. Our Dr. Vijaya Manohar suggested Apollo Cradle and we meet Ms Suchitra PRO, had lengthy chat to decide on the hospital. The moment we stepped into Cradle Hospital, we were very sure we are going delivery our bundle of joy. My Family and I are very much happy with all your services, Dr. Vijaya Manohar took care of us very well; I really enjoyed my pregnancy period during my visit to Apollo Cradle; All the best to all the staff that cared for us. Excellent care received with personalised guidance from day one till discharge also mother celebration programme added special touch to my whole experience we will surely would like recommend to our friends. The experience of childbirth in Apollo Cradle, Koramangala was incredible. Thanks a lot everyone for your help support. Hope Cradle will continues this journey in the future. A very experienced team of Doctors at Apollo Cradle. Especially impressed by the encouragement, support & experience of my Dr. Vijaya Manohar. Overall I am extremely satisfied and happy with my experience. Delivered at Cradle Koramangala with Dr. Vijaya. Dr. Vijaya went out of her way to make me comfortable was treated with lots of care, nursing care provided was excellent at large. Response my troubles were mostly understood by the nursing staff. Yoga and Exercise classes were a big positive, Learned a lot, Thanks to the instructor. 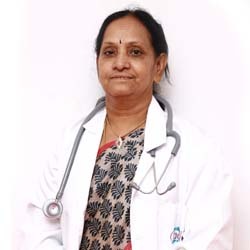 Dr. Vijaya Manohar was my doctor @ Koramangala Cradle who took care of my pregnancy and delivery. Medical and nursing care is excellent here. Good and disciplined staff @ Cradle Koramangala Thanks to my doctor Dr. and team. Overall experience was really good. The nursing staff was really friendly &amp was able to communicate in regional language. Thanks to @ Cradle Koramangala. Doctor good hospital.Very with all modern facilities, very good medical treatment, very good nursing staff and housekeeping.